The Marqués de Riscal Hotel in northern Spain, part of the prestigious Luxury Hotel Collection is possibly the most unique luxury boutique hotel in Spain. 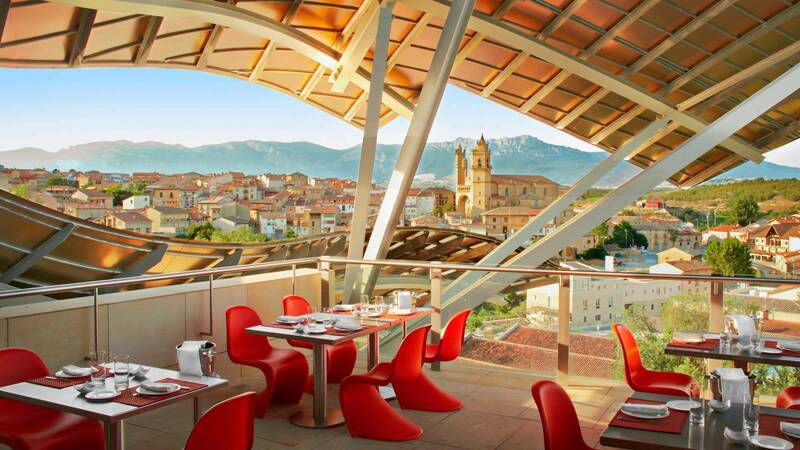 Hotel Marqués de Riscal Elciego: Bistró Terrace of the Restaurant (since 1860). 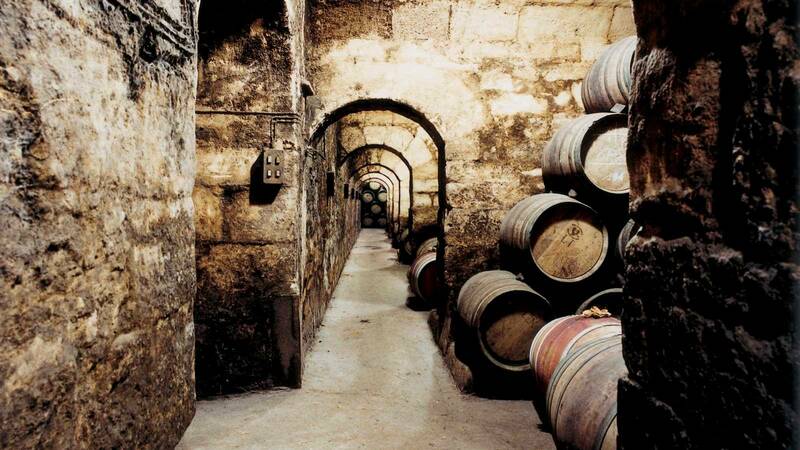 Welcome to the “city of wine” where deep rooted wine-growing tradition meets twenty-first century avant-garde design. 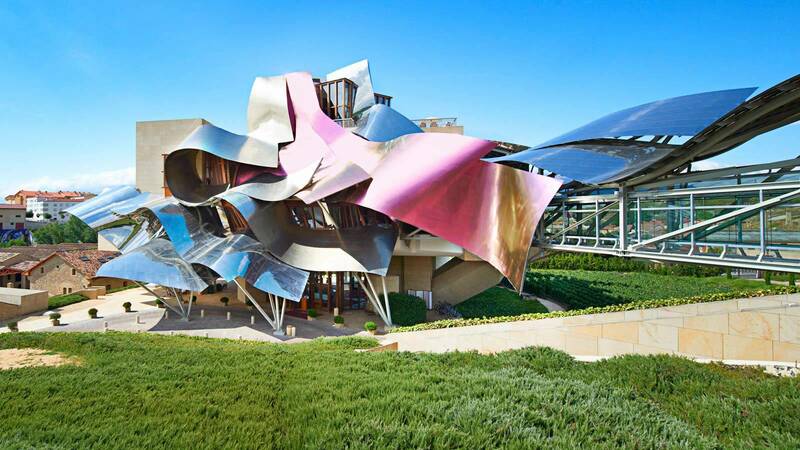 The Marqués de Riscal Hotel is a tribute to the art of wine making, designed and built by Frank O. Gehry, one of the world’s most renowned architects and yes you guessed, also the design creator of the Guggenheim Museum in Bilbao. The Lounge Bibliotheca where guests can enjoy culture in peace and tranquility. 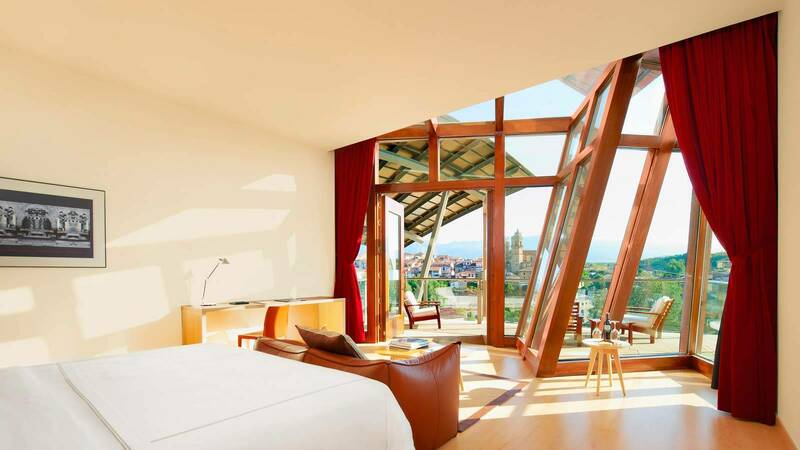 The Hotel Marqués de Riscal has been emphasized by the Best of Wine Tourism Awards in 2007, winning two awards: Best Concept and Best Architecture. 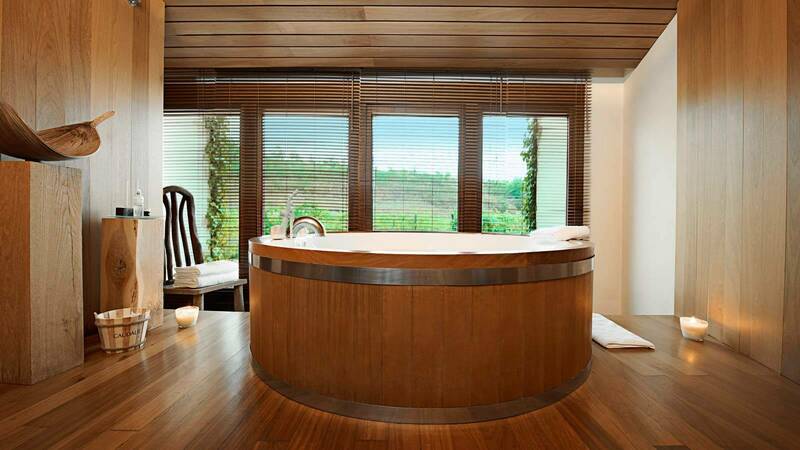 This is the Barrel Bath part of the Vinothérapie® Spa. The innovative 1,400m2 Spa Vinothérapie® Caudalie, based at Hotel Marqués de Riscal has a wide range of lush treatments on offers: the Barrel bath with amazing views of the Rioja vines, as well as other treatments created exclusively by Caudalie: body wraps (Merlot, Honey & Wine), massages (Caudalie Relaxing massage, Pulp Fiction), scrubs (Crushed Cabernet, Merlot Friction) and facials (Caudalie Gran Facial)… In 2009 it was awarded Number One Spa in the World. 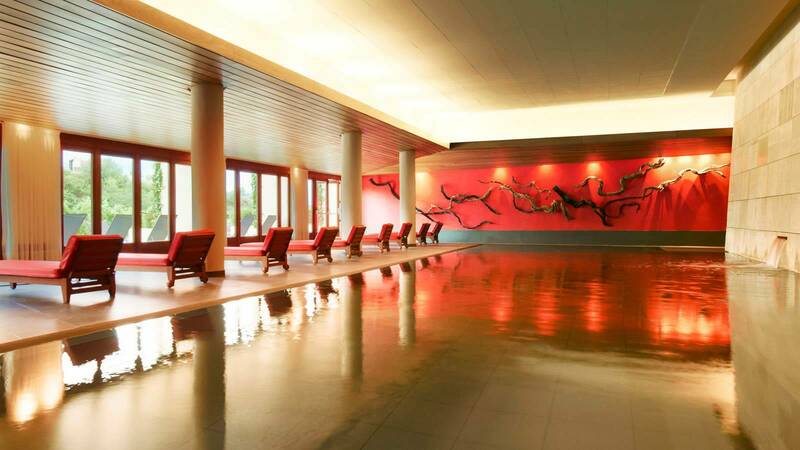 This is the pool part of the Vinothérapie® Spa. The 3000 m2 multicoloured building induces the picture of a flamenco dancer’s dress in motion. The colours represent the Marqués de Riscal wine bottles: reddish pink illustrates the color of wine, gold represents the net that encompasses the bottles, and silver that constitutes the bottle cap – a true work of art. 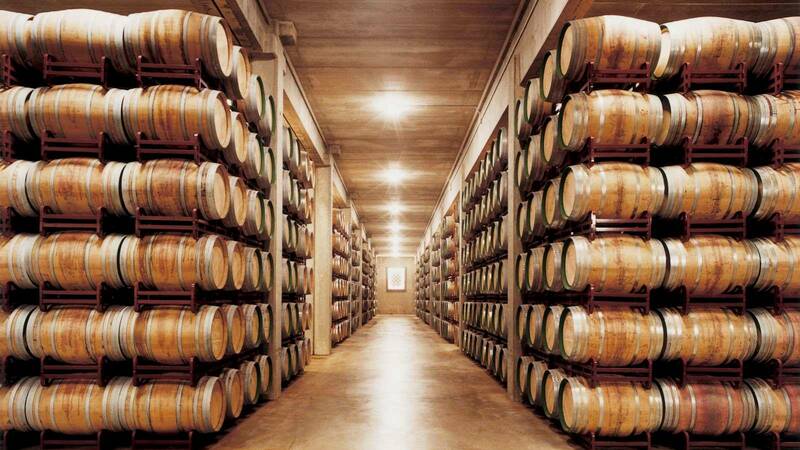 Located in the city of wine, Marqués de Riscal winery is renowned for its large reserves and refined breeds. For reservations, call Hotel Marques de Riscal on (+34) 945180880 or book online. A unique luxury boutique hotel that offers an exceptional travel experience.